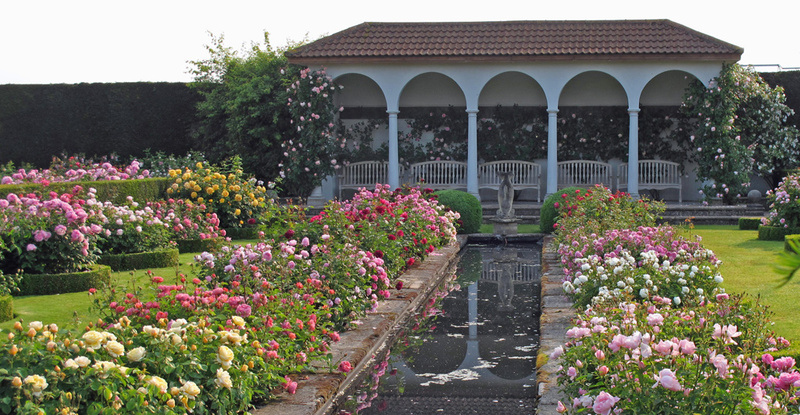 A rose garden is a still, expectant place in England in late May. These shrub roses are lush, just budding out, pruned low. The young, bronze tinted foliage (characteristic of some varieties) gives the first hint of colour among the shades of green. 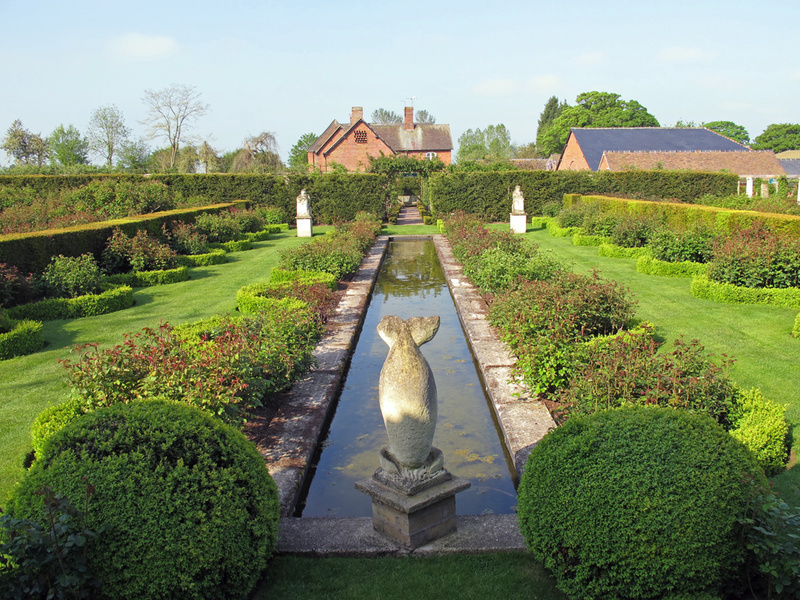 The box and yew hedging is trimmed into shape: the bare bones of the garden are on show. For rosarians, this is an exciting time, not just because of the life emerging everywhere, every day, but in anticipation of the flowers (and visitors) that will soon change everything. You didn’t seriously expect me to leave without showing you a few flowers, did you? I don’t have exactly the same view, but this is pretty close. I take so few pictures of garden scenes, that I feel lucky to have found this one. Posted for the weekly photo challenge: off season. 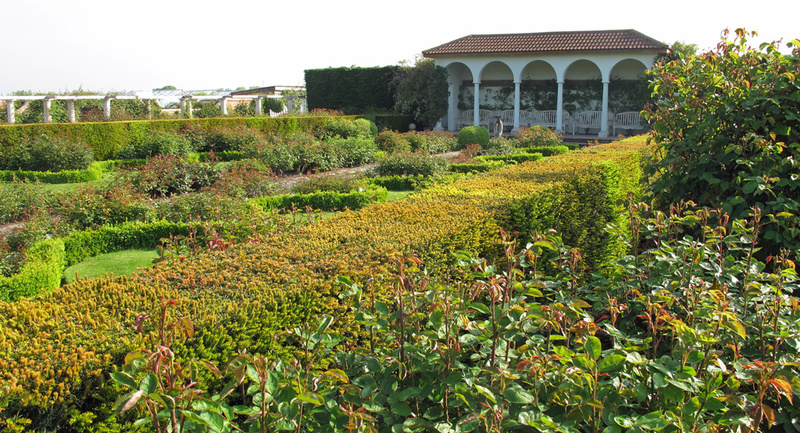 Quite a garden, even in the preparatory stage! Yes – and this is just one of several different garden rooms. The one next to this where roses are grown with herbaceous plants is probably my favourite. I really like your writing – the prose suits the pictures. I wish I could write in such a descriptive manner. Also love the photos, what camera do you use? Thanks for such a kind comment. These were taken with a Canon G11 but I increasingly use my iPhone, especially for landscapes. 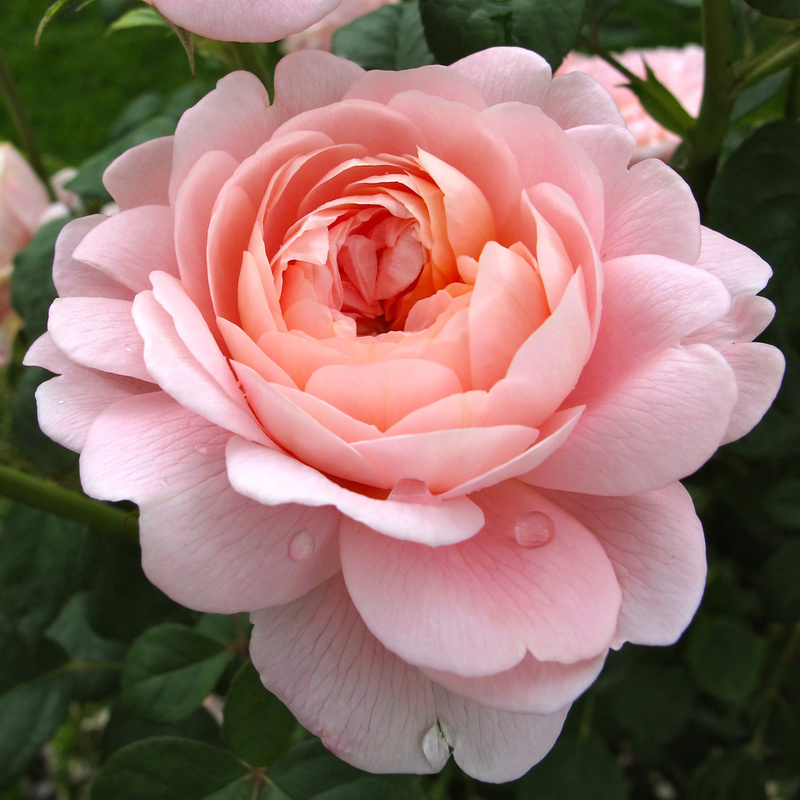 The close up of the coral-pink rose is absolutely gorgeous! I love that you created a whole story here, including the ending. You take lovely photos, but you also write well.